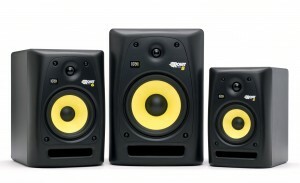 Today, we will be reviewing a few different types of studio monitors. 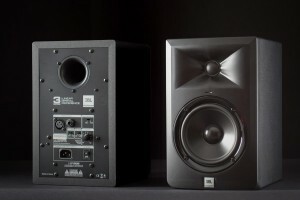 Whether you’re a professional producer, or just beginning to set up your own home studio monitors are easily one of the most important factors to consider. 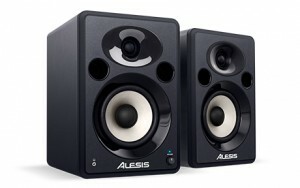 Studio monitors can mean the difference between a well mixed and mastered track, or a low freq. cheap sounding iPad produced song. When it comes to monitors, it’s really quality over quantity. A 5inch Yamaha may do the same thing as a triple stacked M-Audio set up, today we’ll tell you exactly what to look for with a few examples. Amazon is having an awesome deal on a pair for under $250. You can order this set directly from Alesis. 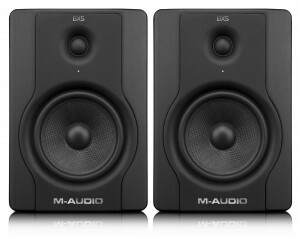 M-Audio isn’t always the best quality, but they always seem to get the job done. and done right. 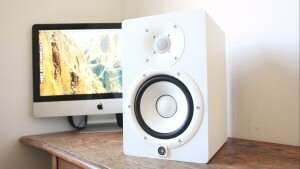 Best monitors in this price range hands down. Perfect for my home studio. Highs and mids are crips and the lows are punchy. They are not going to give you that deep pounding bass like you would expect from some 8’s or 10’s but they are exceptional for the price. I would highly recommend these monitors. Use the xlr to quarter inch cables for your audio interface.